When our son was fitted with orthotics, I asked the doctor why they weren’t more colorful. Why couldn’t they look like super hero gear? He laughed and said they should. But they didn’t. They looked like sterile torture devices. I started noticing similar things. Overwhelmingly, mobility assistive devices (wheelchairs, walkers, orthotics, prosthetics) were made by medical supply companies, mostly for the long-term care market, and funded by insurance companies. They were made for function, not for expressions of individuality. What if I were a pink sparkly girl? Where were the orthotics for me? Where were the funky wheelchair backpacks that could be reached from the chair? Where was the kid gear? Time and again, I found that most accessories were made for the long-term care market – adults – not kids. They were neutral colors and not a lot of fun. Being a kid should be about finding your colors, your dreams, your voice, learning who you are and how to shout that to the world! So, David and I started creating products that were missing: bags you can reach easily from the seat of a wheelchair (PunkinPies), clothes that are expressive without buttons, zippers or snaps (PunkinTogs), dress up toys that work with or without orthotics and helmets while considering sensory needs (PunkinHeads), rain gear made for walkers and wheelchairs (PunkinPonchos), compression vests that are not hot and encourage individuality (PunkinHugs) with cool ways to carry your precious Ztuff (PunkinPaks). We want to create exceptional, fun products for our kids. We work with a wonderful occupational therapist to consider children first, accommodating a wide variety of needs and abilities. We create new products using the principals of universal design. And we feature our unique characters to represent the vibrant personalities we celebrate and to connect us with activities, ideas and heroes in our communities. Coming soon, we will provide free content to support families and caregivers through our website. We want to promote and benefit our community in as many ways as possible. To that end, each component piece of every product has been carefully curated, considering the environment and labor conditions used in its manufacture. We searched to identify ecologically and ethically produced neoprene, which does not cause damage to the environment or to workers during its manufacturing process. We use reflective materials originally developed to protect fire fighters and military personnel to keep our kids as safe as possible on our streets and sidewalks. Every decision is made with our children’s present and future in mind. 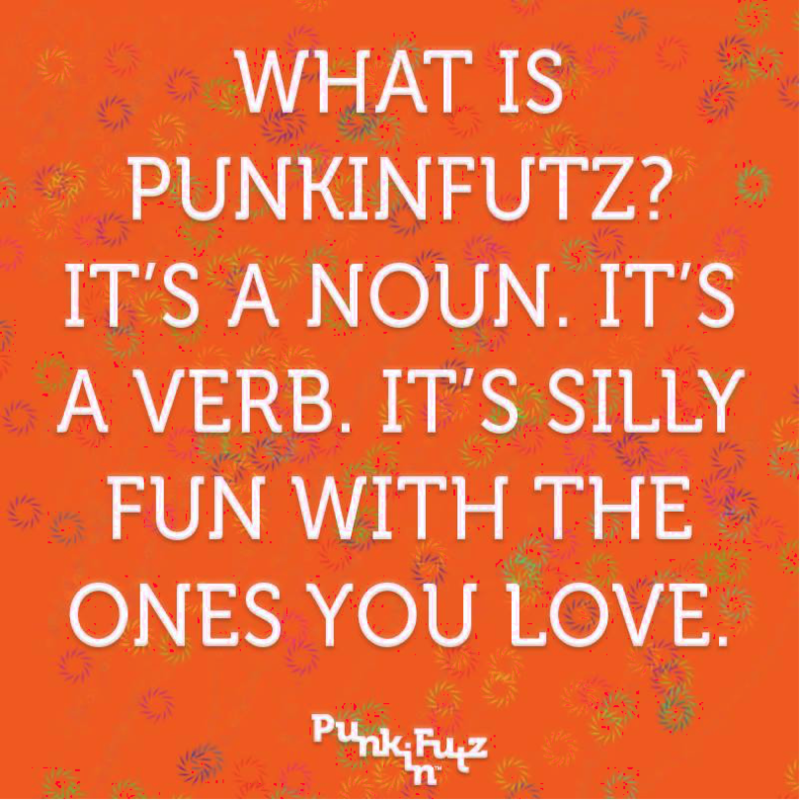 And finally, in consideration of that future, we are committed to producing PunkinFutz original products domestically, in integrated, adaptive workplaces employing adults with a range of abilities. We strongly believe those options are just as important for our children’s future as for their present development. All children have a right to dream of a fulfilling, productive future, whatever they might want that to be. So, this is our mission, our goal, our story. We launched our PunkinPies, PunkinTogs and PunkinPatches on September 16th, 2016 at the Abilities Expo in Boston. We are working to have our PunkinHeads and PunkinPaks by the end of the year. And our official website launched today, October 3, 2016! We hope you will join us on this journey and we hope to provide new options to celebrate and strengthen our diverse community.